As a family owned and operated company, Joseph & Sons provides you with some of the most sought-after flowers in the floral industry. 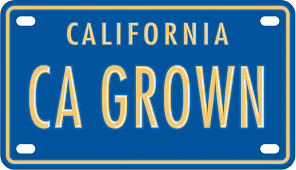 We are proud to carry the CA Grown and Certified American Grown logos on all of our products. Thanks to our three outstanding California locations, we provide excellent production and uniform quality. Our founder, Jose Ortiz Sr., was born with a green thumb and has over 50 years of growing and shipping experience. He remains dedicated to making sure the best growing practices are followed. He is training the next generation so that the "quality-grown" standard continues at Joseph & Sons. Once harvested, our flowers are kept overnight in the cooler at a consistent 39 degrees F. then packed in boxes that are also precooled to 39 degrees, ensuring they are kept fresh and consistently high quality throughout the shipping process. The customer comes first at Joseph & Sons Inc. and our team of floral experts stands by ready to serve you. Because we are family, we treat you like family too. See our Staff page for a list of our team members and their contact information. They are ready and eager to assist you.